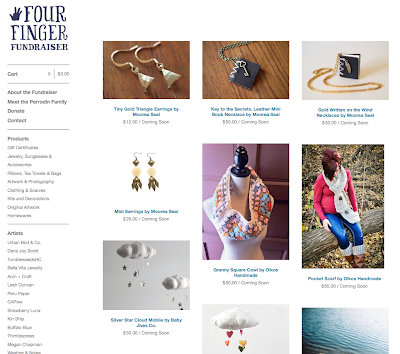 Have you heard about the Four Finger Fundraiser to benefit Perrodin Supply Co? I cannot believe that I haven't told you all about this amazing fundraiser yet (silly me). I have had the privilege of working with 40 artists across the country to organize a special fundraiser to help my dear friends, Jonathan & Amber Perrodin. 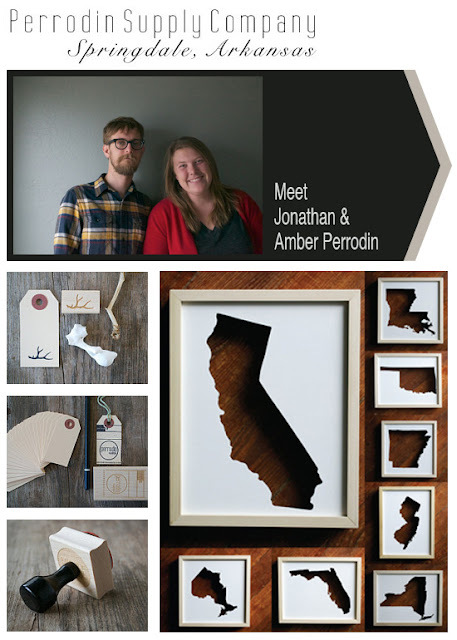 2 weeks ago, Jonathan Perrodin, the sole wood worker for Perrodin Supply Co., amputated his right index finger in a tragic woodworking accident. In a moment, their lives changed. Now they are trying to figure out how to move forward with their business, but the damage to Jonathan's finger has resulted in loss of time, as well as huge medical bills. That's where we come in! In an amazing show of support, handmade artists and makers across the states have decided to organize a fundraiser. 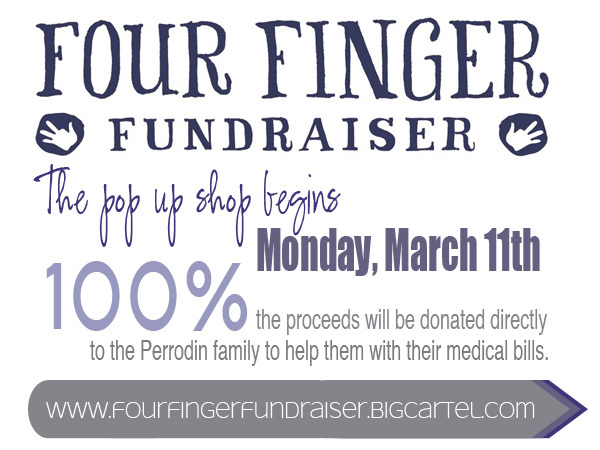 Beginning on Monday, March 11th, donated goods are being sold in an online pop up shop, and all of the proceeds will be donated directly to the Perrodin family to help them during this time of uncertainty. Artists supporting artists. The handmade community gathering together and strengthening one another. It is a beautiful thing. You can go ahead and preview all of the AMAZING donated items at our pop-up shop, FourFingerFundraiser.bigcartel.com.